How to differentiate soluble from insoluble fiber? 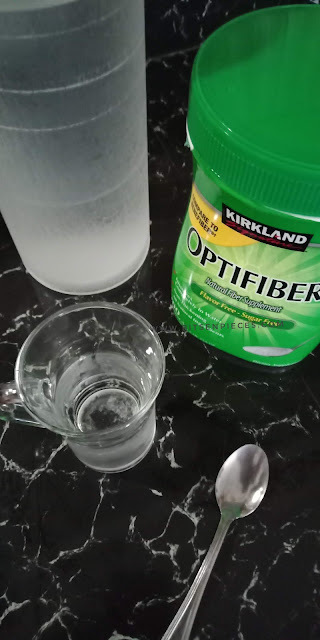 From my last grocery shopping, I discovered this Optifiber product from Kirkland Signature. 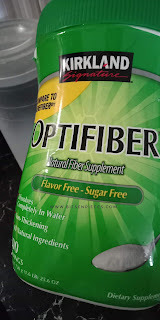 Optifiber a natural fiber supplement, a flavor free-sugar free powder. 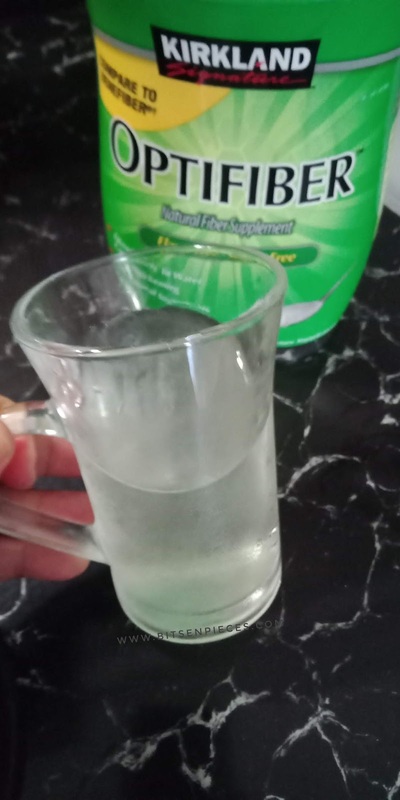 This is a type of soluble fiber that dissolves in water when mixed. Oats, oatmeal, peas, beans, lentils, fruits and vegetables especially oranges, carrots, and apples are a good source of soluble fiber. The reason we always hear from our parents and elders to eat more vegetables and fruits. Insoluble fiber does not dissolve in water, examples of this is found in whole wheat and whole wheat products, also in other fruits and vegetables that we eat. 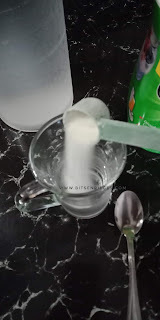 For both diarrhea and constipation soluble fiber is the best solution for it, while insoluble fiber is the key when you are experiencing constipation. There are times where natural fiber-source food is not available, we can rely on this kind of supplements which I think can serve in the daily nutritional value of our body needs. And, for just a little time and effort we can provide our body some nutritional boost. Optifiber can be mixed into coffee, tea, juice or any non-carbonated hot or cold beverage. 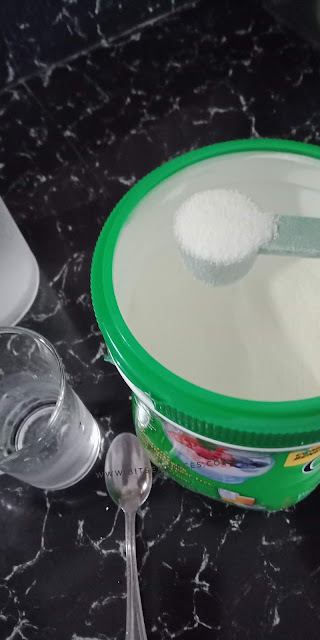 The powder can also be mixed in any soft food such as puddings, yogurt, applesauce or oatmeal. 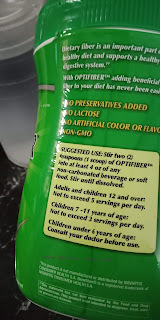 Suggested use: Stir two teaspoons or one scoop (scoop provided inside the tub) of Optifiber to at least 4oz of any non-carbonated beverage until it dissolved. Serving suggestions: Adults and children 12 and over do not exceed to 5 servings per day. Children 7-11 years old up to 3 servings per day. Children under 6 years of age, consult your doctor before use. 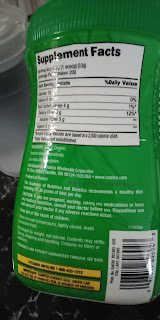 For $5.68 per 1.6 lb, you can get 200 servings. My verdict as a first-time user of this brand, it is really tasteless and easily dissolves in cold water. 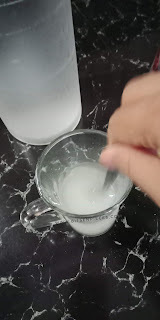 Upon mixing it in water, it creates a cloudy-like color in the water and after a minute or so, the cold water became clearer. I have not yet tried mixing it in any other soft foods or hot beverages. Although natural is the best way to get our daily nutritional needs, there are always options and additional source we can use, and coming from brands that serve and provide nutritional benefit there's no harm in trying. 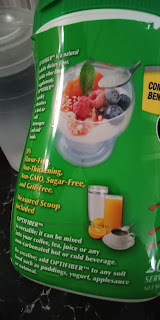 Have you tried this fiber mix from Kirkland before? What was your experience? ***this is not a sponsored post. 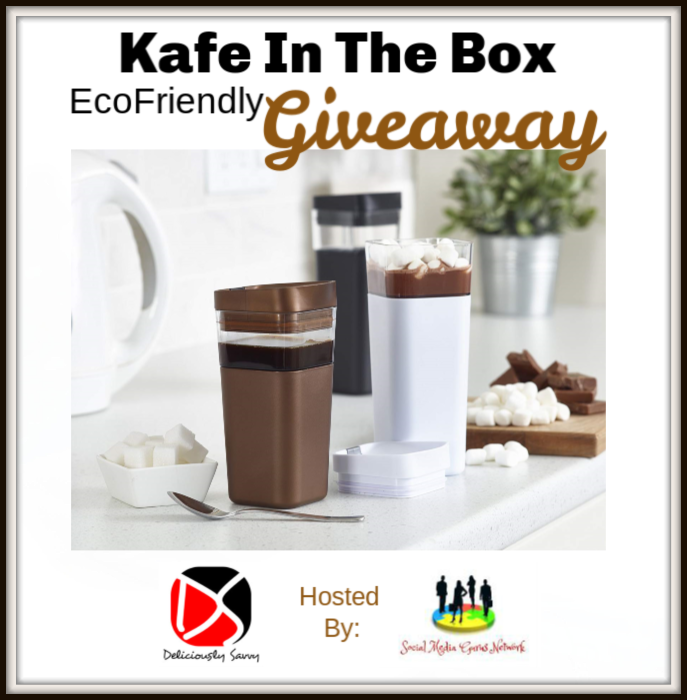 Kafe In The Box EcoFriendly Giveaway! 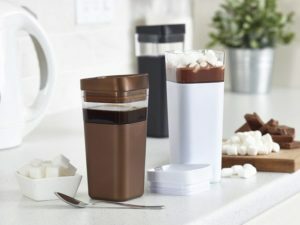 Coffee on the go is the perfect gift idea for coffee lovers like me. If you are into coffee this is the perfect gift or gift idea for you. 1 Lucky Winner Will Receive 2 Kafe In The Box EcoFriendly Reusable Travel Cups in 2 different sizes & colors! Deliciously Savvy did not receive any form of compensation for this giveaway other than the product for review. 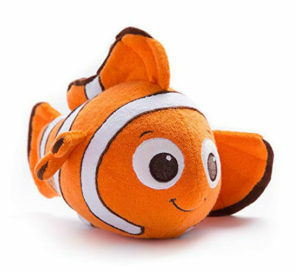 Once winner is selected via the Giveaway Tools process, the product will be shipped. Winners have 48 hours to respond or another winner will be chosen. No other blog associated with this giveaway is responsible for the product shipment. KafeInTheBox will be providing the prize above to the winner. 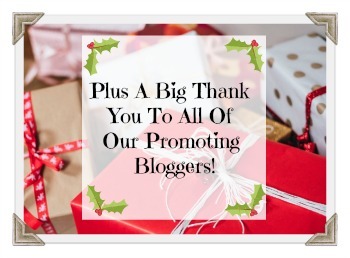 This post does contain affiliate links and I may make a small commission used to support this blog if the item is purchased via the links in this post. Thank You for stopping by! Any Questions or Concerns email me at mcushing7 (at) hotmail (dot) com. My/Mo Mochi Ice Cream Giveaway! What a delight to win some goodies that is cold and yummy! I love mochi ice cream as it gives you that refreshing feel and makes you crave for more ice cream delight in every bite. 2 Lucky Winners Will Receive 3 6-pack boxes of My/Mo Mochi Ice Cream! Winners Choose Flavors! Deliciously Savvy did not receive any form of compensation for this giveaway other than the product for review. Once winner is selected via the Giveaway Tools process, the product will be shipped. Winners have 48 hours to respond or another winner will be chosen. No other blog associated with this giveaway is responsible for the product shipment. My/Mo Mochi will be providing the prizes above to the winners. This post does contain affiliate links and I may make a small commission used to support this blog if the item is purchased via the links in this post. Thank You for stopping by! Any Questions or Concerns email me at mcushing7 (at) hotmail (dot) com. 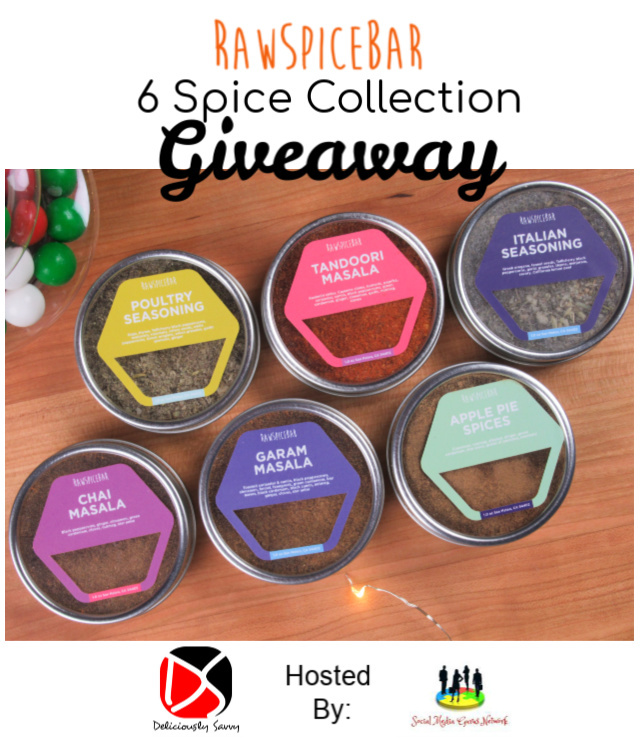 RawSpiceBar 6 Spice Collection Giveaway! When I go grocery shopping I always get packs of spices. I can never go ahead in cooking without using any spices, it adds flavor and also brings out the flavors in meat too. 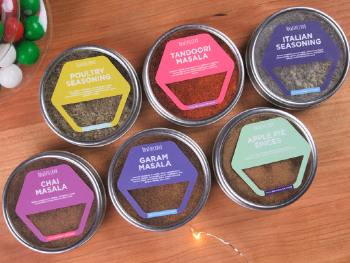 1 Lucky Winner Will Receive a set of 6 spices from RawSpiceBar valued at $42! 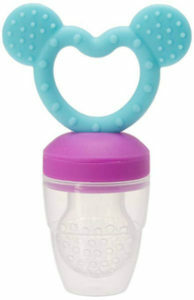 Baby bundle giveaway this holiday season is the perfect gift! 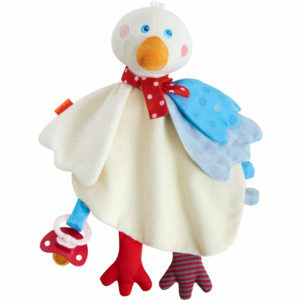 I love to buy gifts for babies that they will be needing like toys and baby products for daily use. If you are up to this kind of gifts and want to score some items for free, here is the perfet giveaway for you. 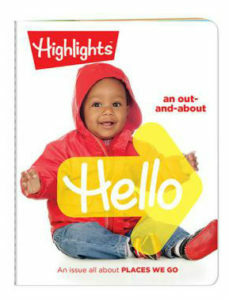 1 Winner will win a 6 month subscription of Highlights Hello Magazine Which Are Books For Baby! Winner will receive this gym which provides 3 stages in 1 product: 1.Lay & Play 2. Tummy & Play 3. Sit & Play. 1 Lucky Winner Will Win All Of The Prizes Listed Above With A Value Of $213! See the review of all of these fabulous items HERE. This giveaway is in no way endorsed, affiliated, or associated with Facebook, Twitter or any other Social Media Networking Site. This Giveaway is valid in the US and Entrants must be 18+ years of age to enter. This giveaway event will end at 11:59 PM (EST) 12/25/18. The winner will have 48 hours to email their information back to mcushing7 at hotmail dot com or a new winner will be drawn, you may want to put this email address as safe as it could go to spam. If you take an entry you must stay following for the entire contest or you will be disqualified. Deliciously Savvy did not receive any form of compensation for this giveaway other than the product for review. Once winner is selected via the Giveaway Tools process, the product will be shipped. Winners have 48 hours to respond or another winner will be chosen. No other blog associated with this giveaway is responsible for the product shipment. 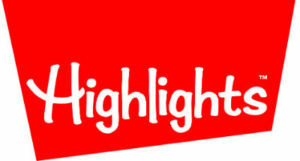 The Sponsors listed above will be providing the prizes above to the winner. Thank You for stopping by! Any Questions or Concerns email me at mcushing7 (at) hotmail (dot) com. Manila, Philippines – After weeks of exciting playoffs happened in 3 venues. Fifteen squads are set to claim supremacy in the Rules of Survival – Nimo TV- Philippine Champions League Season 1. The 15 squads who will compete this weekend are the following: Bakunawa B, Savage.ROX, Savage Gaming and Bakunawa A of Mineski Infinity Taft; Kudos Gaming, CLG, Comeback <3, Evo Groundz and Team Marshall of Mineski Infinity Morayta and Representing Mineski Infinity Cubao is Young Blood, Seal team Peenoise, Chupon Gaming, XO-ideas, and Cheater Slayer Nambawaa; completing the line up is the crowd favorite Team Mix of Mineski Infinity Cubao. GoWISE USA Air Fryer Oven Giveaway!